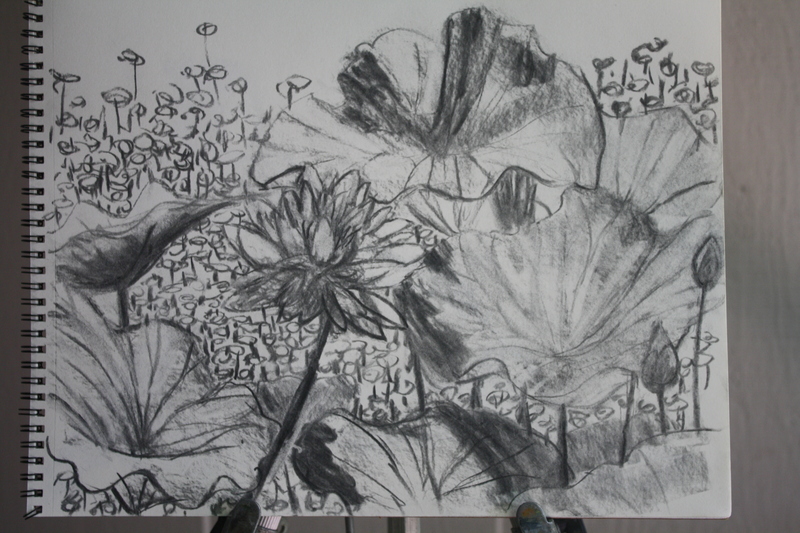 This summer I want to do a painting of the Lotus flowers at Lewis Ginter Botanical Garden. This is my first sketch. The Lotuses are surrounded by tiny Lily Pads and huge Lotus leaves on a background of blue violet water. I got the sketch in less than an hour, so it will be easy subject matter. This will be fun, but I’ll have to stand in the sun like when I painted the Pitcher Plants.